Many people have recently come together to compile an unbiased, third-party look at the South Hill TCE spill in Ithaca, NY, focusing on the most current level of understanding and technology for detection, location, and remediation of TCE contaminant throughout affected urban and residental areas. The result of this semester-long research project, hosted by Profs. Tammo Steenhuisand Larry Cathles in the BEE/EAS 471 Geohydrology and BEE 671 Drainage courses offered in the spring semester 2006 is presented here. 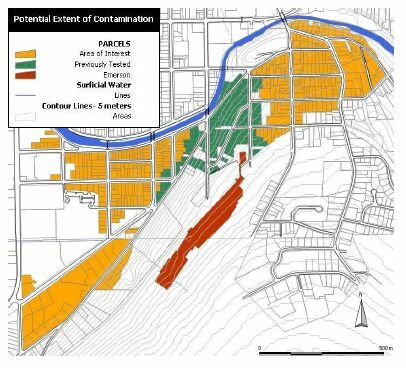 Download the Final South Hill TCE Report (May, 2006). View the executive summary of the Final South Hill TCE Report. View the South Hill testimony statement (April 2005). View a list of project participants, both student and professional. View the South Hill TCE project references. Visit other TCE and South Hill related sites from our links page.